Dulice Campbell, with two crocodiles at Sunday Gully, North Queensland, c1950. 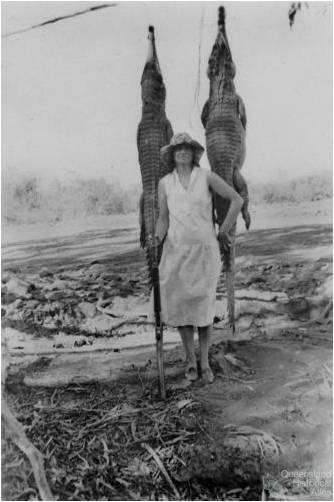 While crocodile hunting was widely perceived as adventurous, dangerous, and macho some women participated. The crocodiles shown here are of the freshwater variety.